Your little Footballer will love this personalised addition to his or her room. 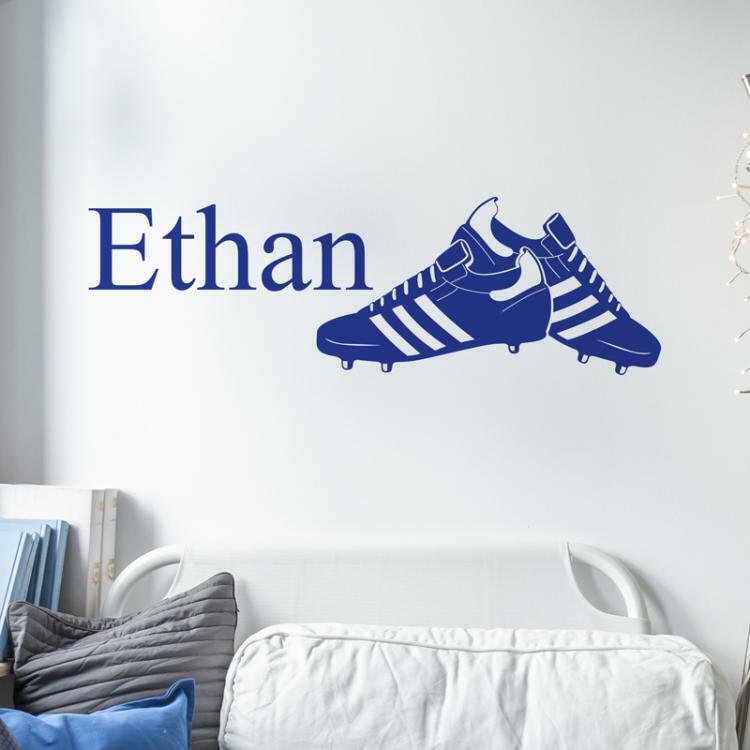 Our beautifully designed wall stickers and wall quotes are a stylish modern way to decorate a room or carry out a room makeover, without the mess. Size: 22cm x 42.5cm. Text height 10cm, length dependent on name. Received the beds and they are absolutely gorgeous. My girls are thrilled so thank you so much. We shall be recommending you to friends here (and in the UK) so expect some more foreign deliveries! !